The Survival Project includes letterpress prints, photographs, and hand-crafted bullets. To request a signed print gratis, please email the artist. This letterpress broadside, editioned print, was inspired by the Yiddish poet, Abraham Sutzkever (1913 - 2010). 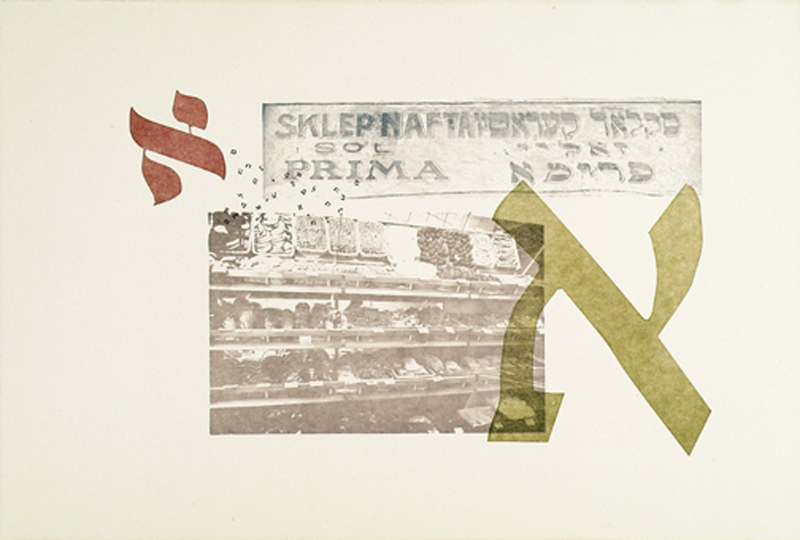 As a Jewish letterpress artist working with lead type, this literary work connected me to the history of the Jewish people and our will to survive. "We dreamers now have to become soldiers and fight And melt into bullets the soul of the lead." A haunting poem written in the Vilna Ghetto of Lithuania by Abraham Sutzkever in September 1943. Sutzkever’s poem of survival is layered with mystery and controversy, causing decades of debates regarding the accuracy of the events and questioning its truth or fiction. Before the war, Vilna was once a major center of Jewish learning and publishing. 95% of Lithuania’s Jews were murdered in the Holocaust - the highest rate of genocide of any country in Europe. Of the many Romm Press buildings that were once in operation in Vilna beginning in 1805, only the outside of one structure remains today. The Romm Press – famous for printing some of the most important Judaic scholarly texts in Eastern Europe, including the Babylonian Talmud – has since been converted into businesses and residential living areas.